“I walked in and she’s sat in the coffin. In the middle of the living- room and she’s – she’s watching telly and laughing”. Nobody can ignore the fact that Myra is dying but in the meantime life goes on in the family home in Leamington Spa. There are boilers to be fixed, cats to be fed and the perfect funeral to be planned. 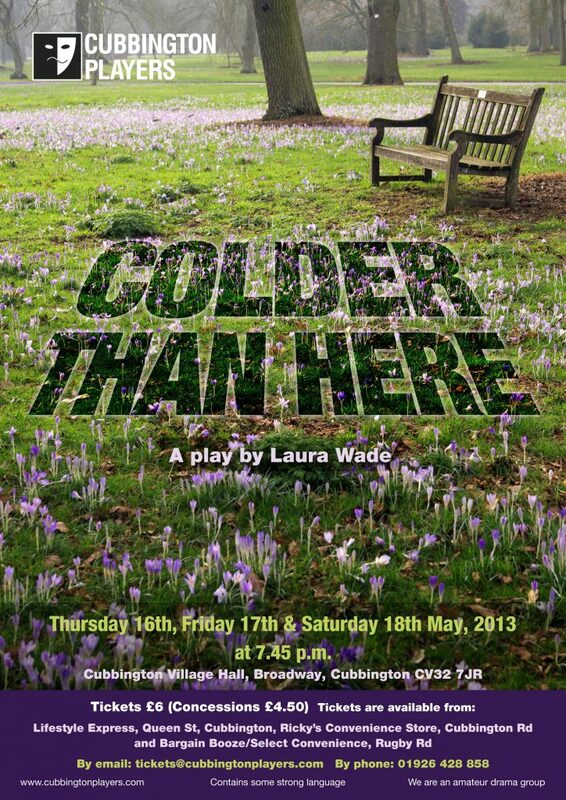 Award-winning young playwright Laura Wade, who worked for some time at the Playbox Theatre in Warwick, has produced a beautifully observed and sensitive drama. Moments of confrontation and wicked humour gradually give way to moving dialogue as the family comes to terms with Myra’s illness and learn to talk to each other. Front of House and Kitchen assistance provided by friends of Cubbington Players and members.